Paddington’s return to the big screen was again helmed by BAFTA-nominated director Paul King (“Paddington,” “Come Fly with Me,” “The Mighty Boosh”) from a script written by King and Simon Farnaby (Sky TV’s “Yonderland,” “Mindhorn”), based on the best-selling and internationally adored books by Michael Bond, creator of Paddington Bear. The film was produced by multiple award-winning producer David Heyman (the “Harry Potter” films, “Fantastic Beasts and Where to Find Them,” Oscar nominee for “Gravity”). Serving as executive producers were Rosie Alison, Jeffrey Clifford, Alexandra Ferguson Derbyshire, Ron Halpern, and Didier Lupfer. Creative talent returning behind the camera included director of photography Erik Alexander Wilson (“Tyrannosaur,” “Submarine”), production designer Gary Williamson (“Bunny and the Bull,” “Submarine”), Oscar-winning costume designer Lindy Hemming (“Wonder Woman,” “The Dark Knight”), and editor Mark Everson (“Mindhorn,” “Alan Partridge”), joined by editor Jonathan Amos (“Baby Driver”). Visual effects were provided by the highly acclaimed British VFX company, Framestore, led by animation director Pablo Grillo (“Fantastic Beasts and Where to Find Them”) and VFX supervisors Andy Kind (“Gravity”) and Glen Pratt (“Beauty and the Beast”). The score is composed by Academy Award winner Dario Marianelli (“Atonement”). 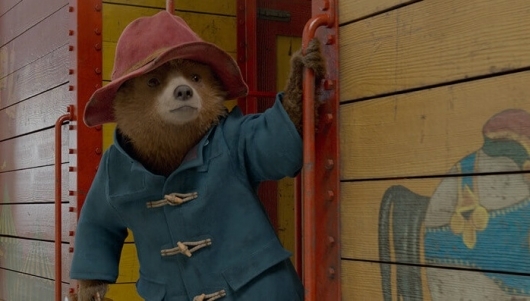 “Paddington 2” was shot on location in and around central London, as well as on the legendary soundstages of Warner Bros. Leavesden and Pinewood film studios. Paddington 2 will be released here in the States on January 12th.